3 Musketeers fans, rejoice! 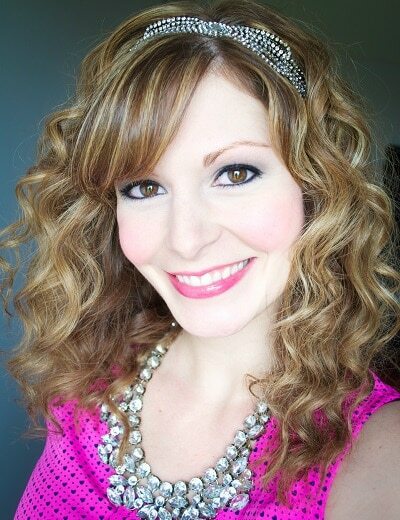 I am so excited to share with you my recipe for Easy Homemade 3 Musketeers candy bars! They taste just like the real thing! I have become slightly obsessed with creating super simple copycat versions of candy bars (and Girl Scout Cookies). 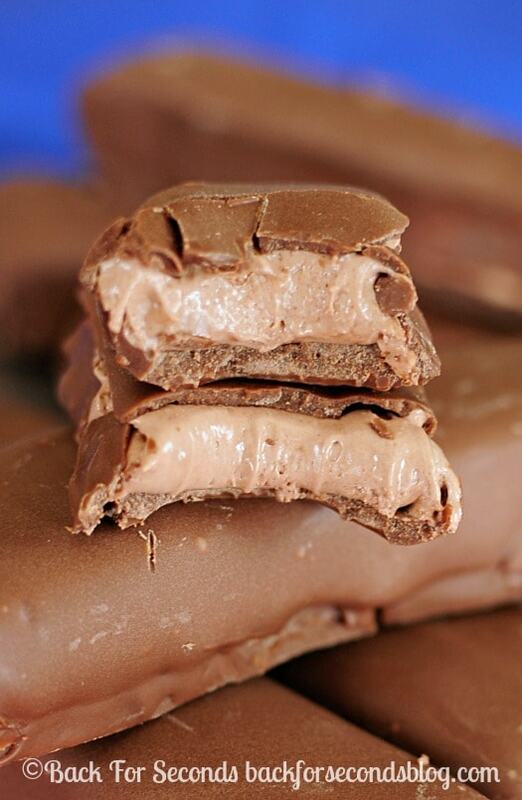 You all went nuts over this Kit Kat recipe…and this Twix recipe…and this Mounds recipe. I just had to come up with another one! 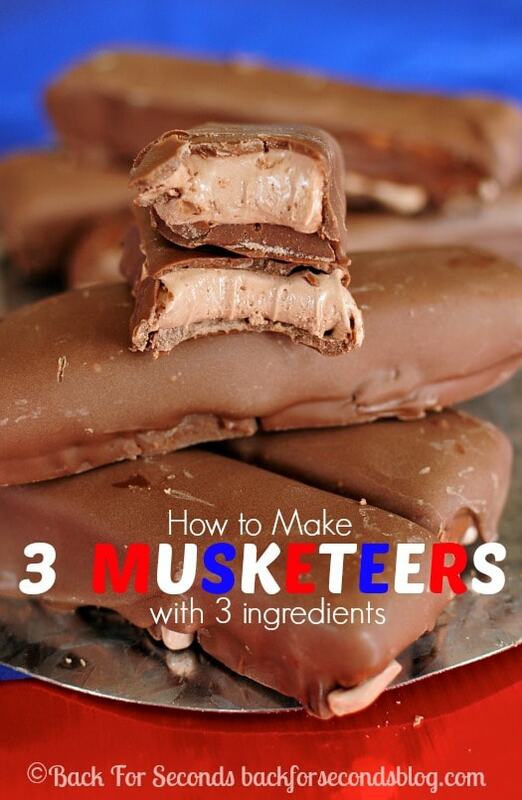 This 3 Musketeers copycat recipe is ridiculous, people. All it takes is 3 ingredients! 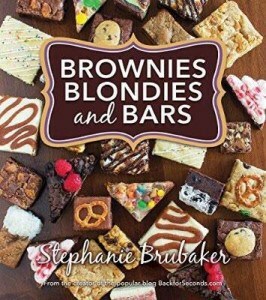 And they are no bake! And they taste just like the real deal! I have had the idea for this recipe on my mind for a long time. I don’t know why it took me so long to actually try it, but I’m so glad I finally gave it a whirl. I am really happy with how these turned out! They have a light, fluffy texture on the inside with the perfect amount of chocolate. They are not too rich but they sure satisfy those chocolate cravings! 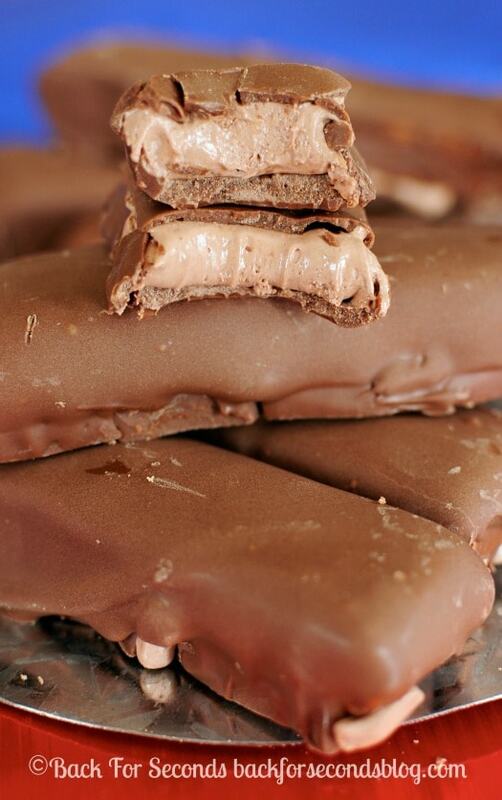 If you have never tried making candy bars before, give this recipe a try! It’s hard to beat a recipe this tasty that’s also super easy, no bake, and only 3 ingredients. This is a winner, folks! Making these right now but I found a flaw….I kept eating the ingredients separately as I made it!! Love this! Thanks for sharing. I love Three Musketeers but would it be possible to make the mint three musketeers????? Just a thought. to you about your recipe re: a permission request. I love this recipe. It’s been a long time since I’ve had real Three Musketeers, but they used to be one of my favorite candies. Making these was a bit messy for me (I got my fingers sticky during the dipping part! ), but I found that the taste and texture was actually pretty close to the real deal! I used Nutella and semisweet chocolate chips. These were very easy to make. Thanks for a great recipe! Re: 3 Musketeers — I notice that nobody else has asked this, and that is making me feel particularly stupid, but still I need to know. When you pour the melted chocolate into a greased, parchment-lined loaf pan, what size of loaf pan are you using? A bigger pan will result in a thinner layer, and a smaller pan in a thicker layer. I have loaf pans in about six different sizes. Thank you, and thank you as well for all the wonderful, make-at-home candy copycat recipes. If there is one thing I love, it is the DIY way of life.